and don’t have time to stuff around. Yes, I'd like a copy of the Action Plan ! How to locate what people are interested in most. How to get & keep things moving. With 2015 almost half done, it’s worth getting going sooner rather than later. 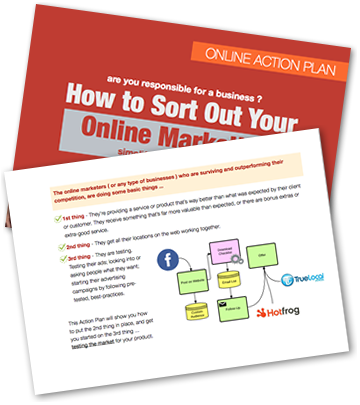 Not having online marketing in place these days is losing you business and money.